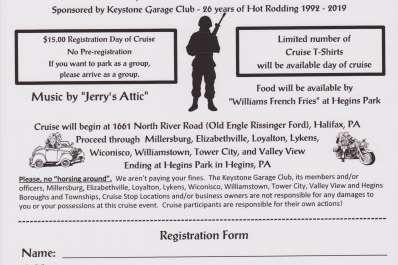 The cruise will begin at 1661 North River Road and proceed through Millersburg, Elizabethville, Loyalton, Lykens, Wiconisco, Williamstown, Tower City, and Valley View. 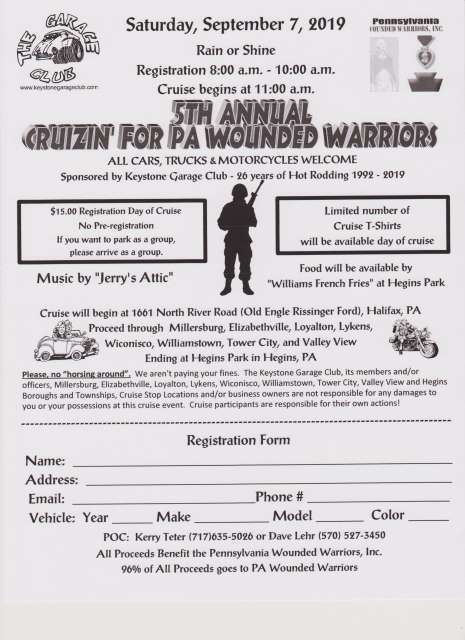 Ending at Hegins Park in Hegins, PA. Music by Jerry's Attic and Food will be available at Hegins Park. All cors, trucks, and motorcycles welcome.